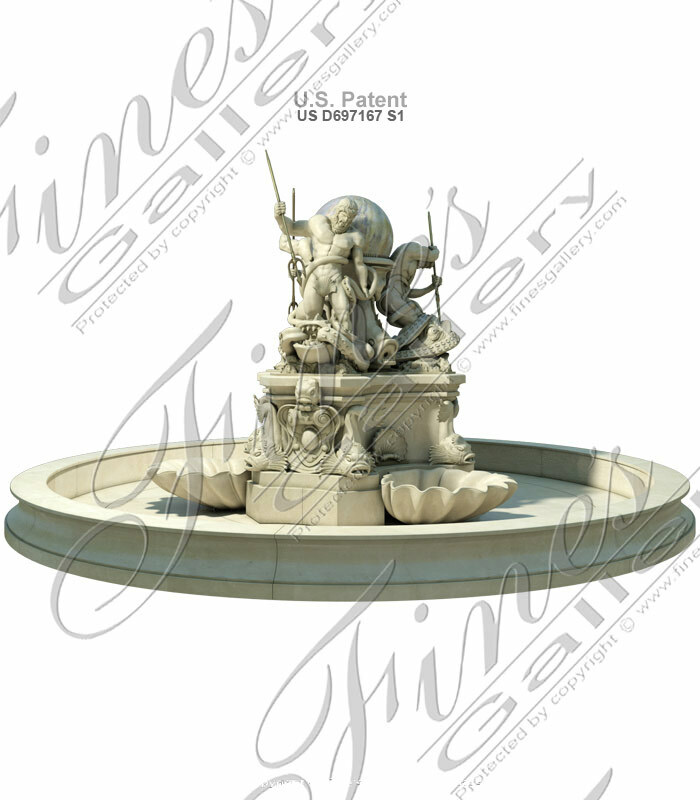 A truely majestic legend of Neptune fountain. 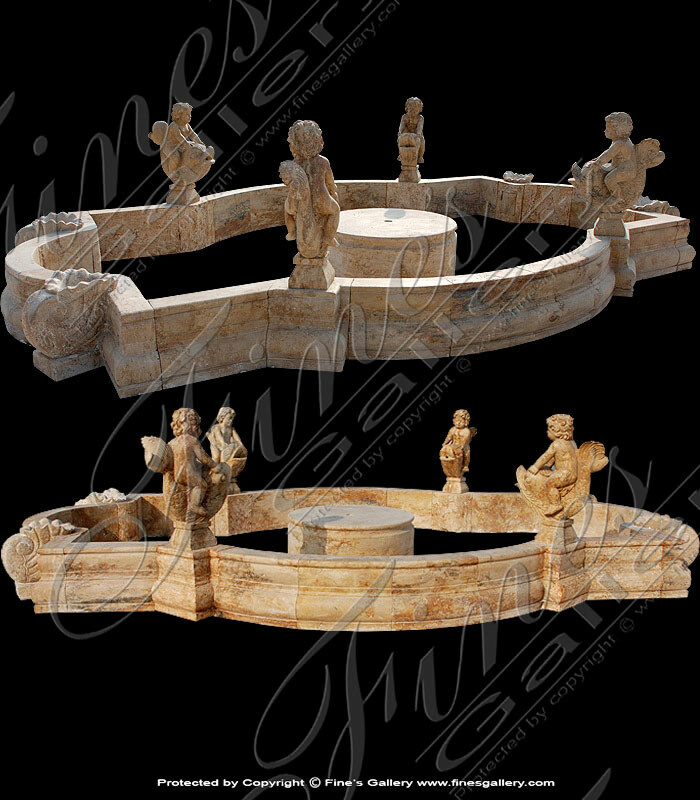 Neptune and the complimentary pool surround are carved from solid blocks of natural stone. 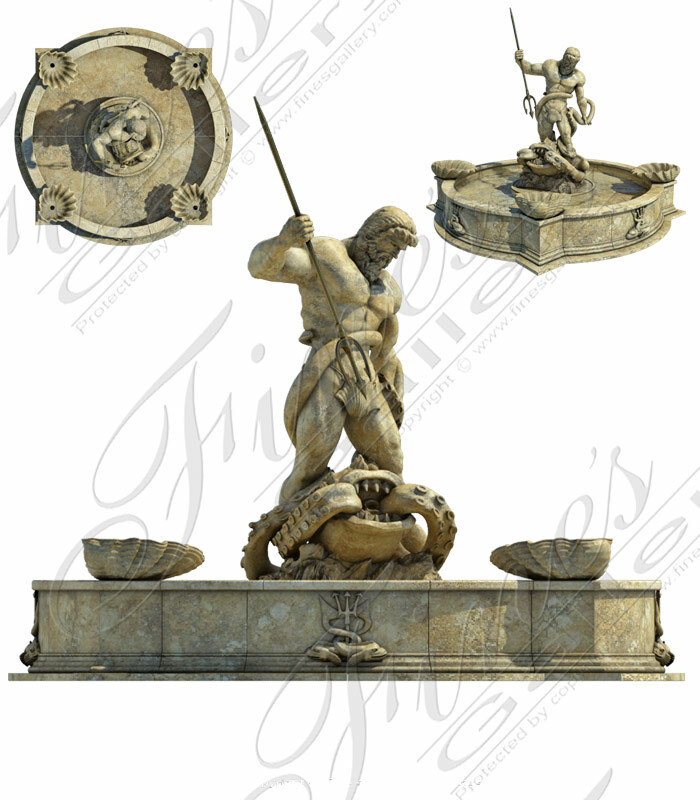 His trident is positioned to strike the mythical sea creature. 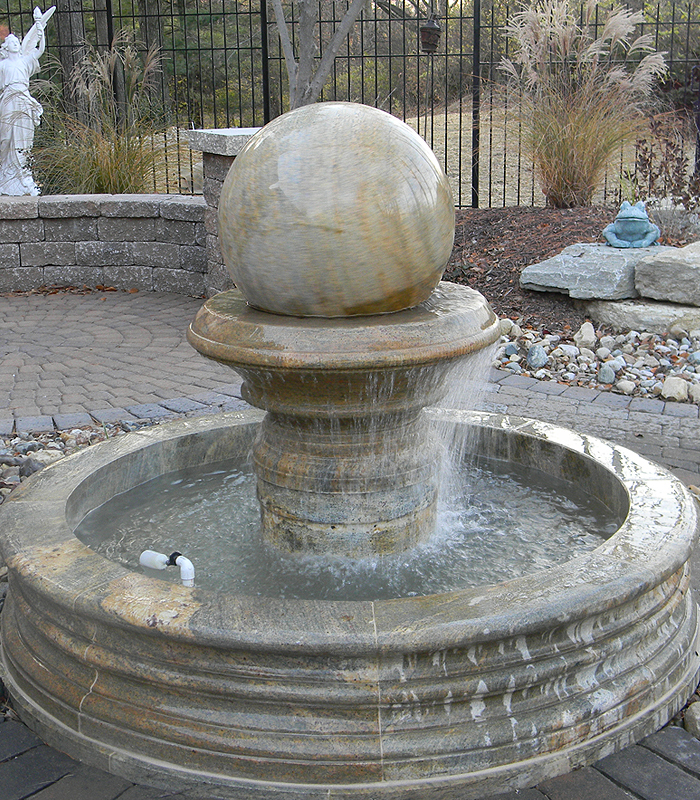 Water spouts from the creature and the four shells. 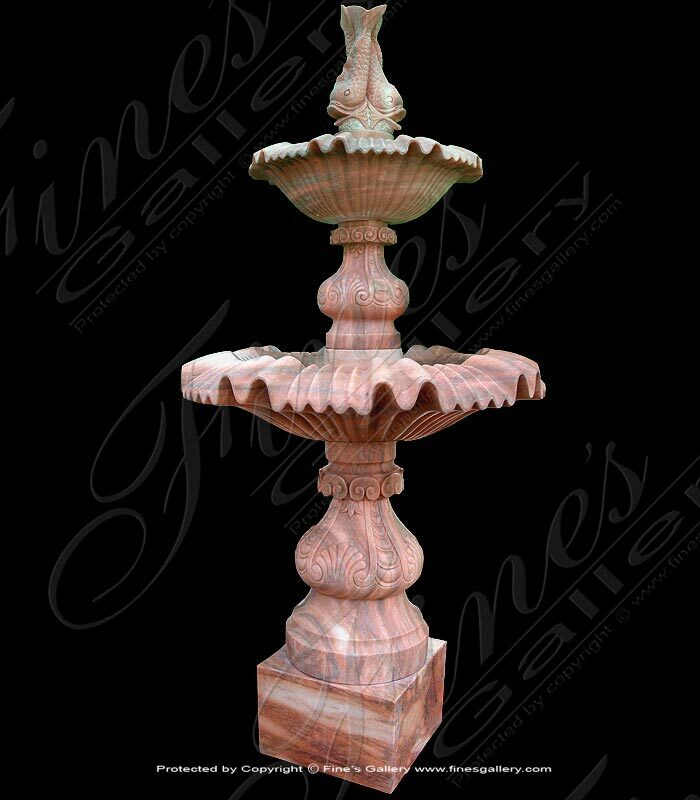 A unique and beautiful fountain, featuring stunning artwork of this exotic water creature. 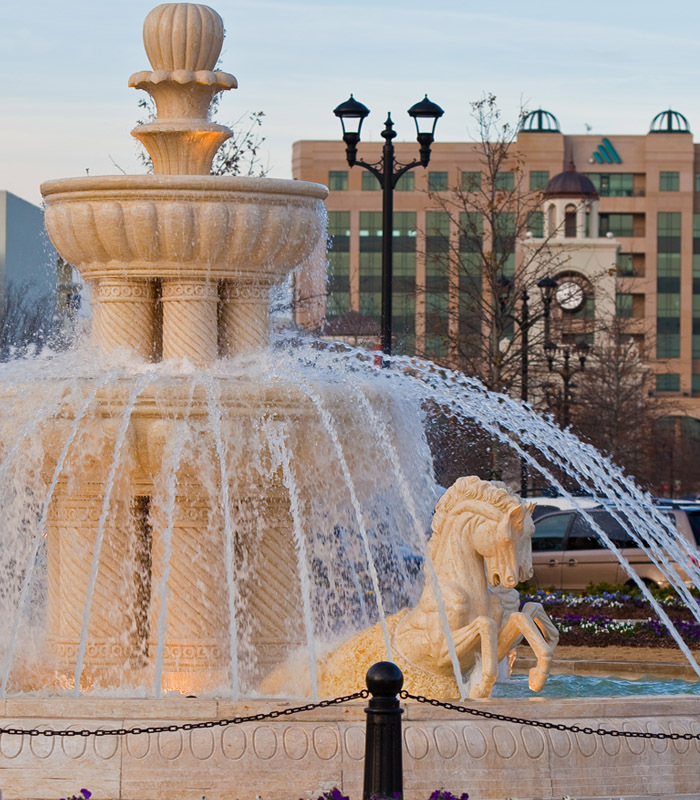 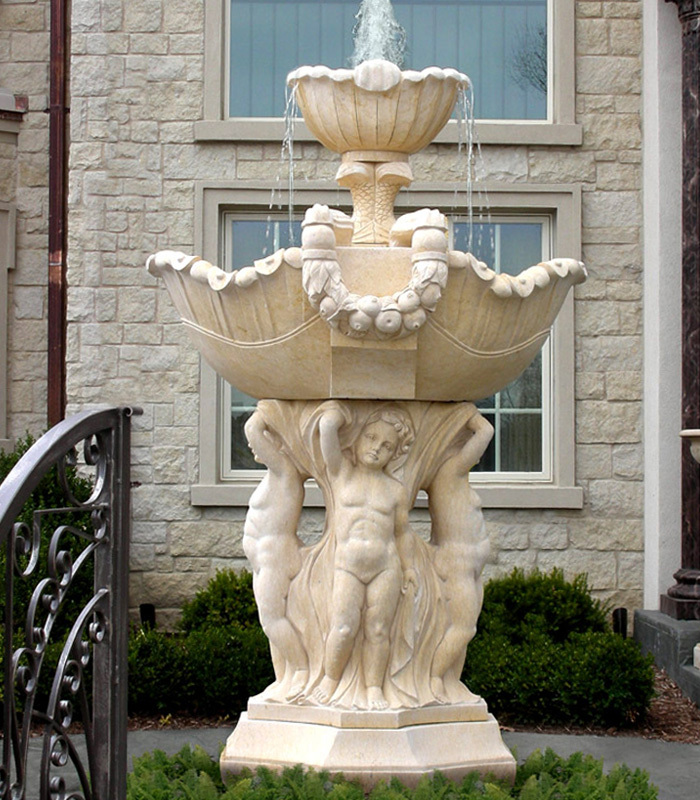 Water pours from a decorative tier in cascading waterfalls all around the base made from sculptures of large sea horses. 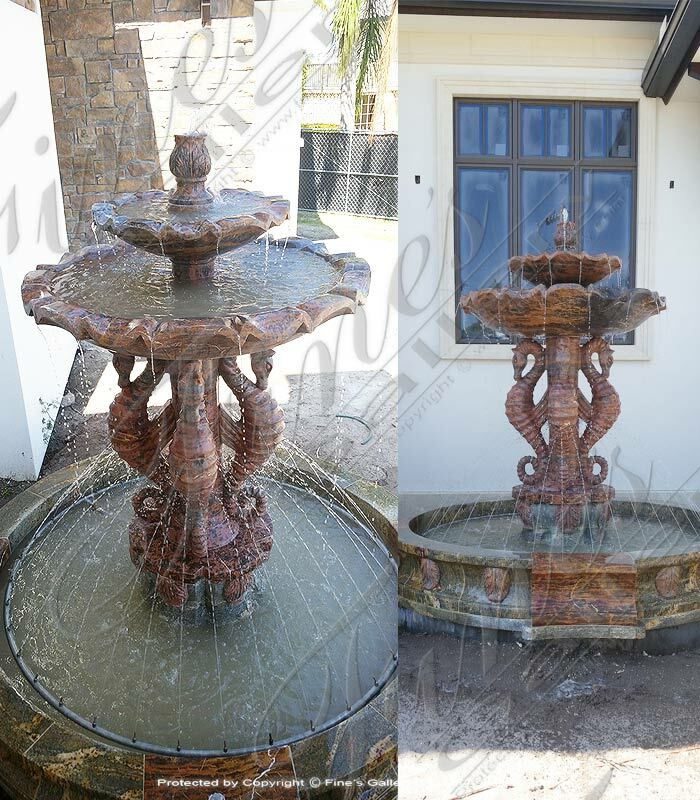 Contact us for customization details. 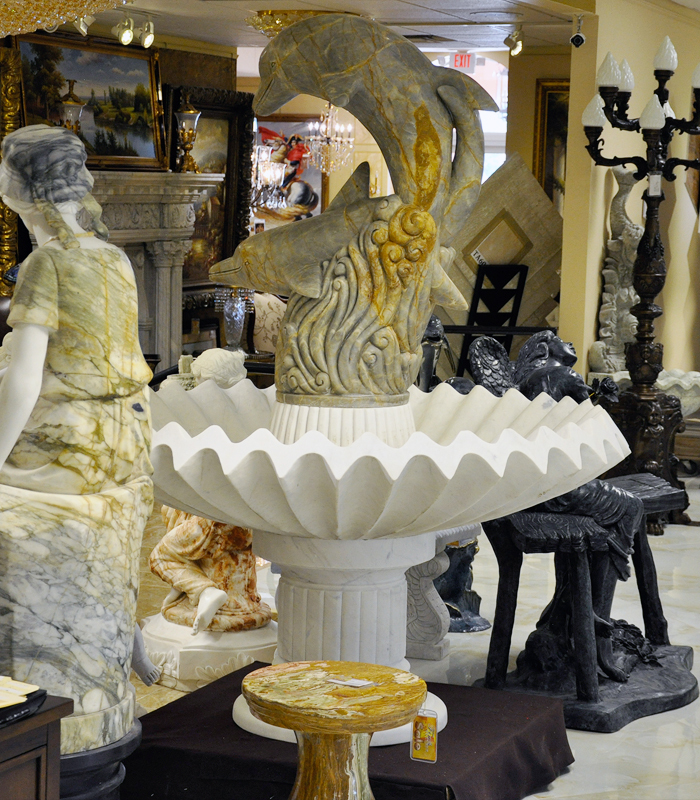 This beautiful pedestal fountain is decorated with ornately sculpted fish, scroll, and shell decor. 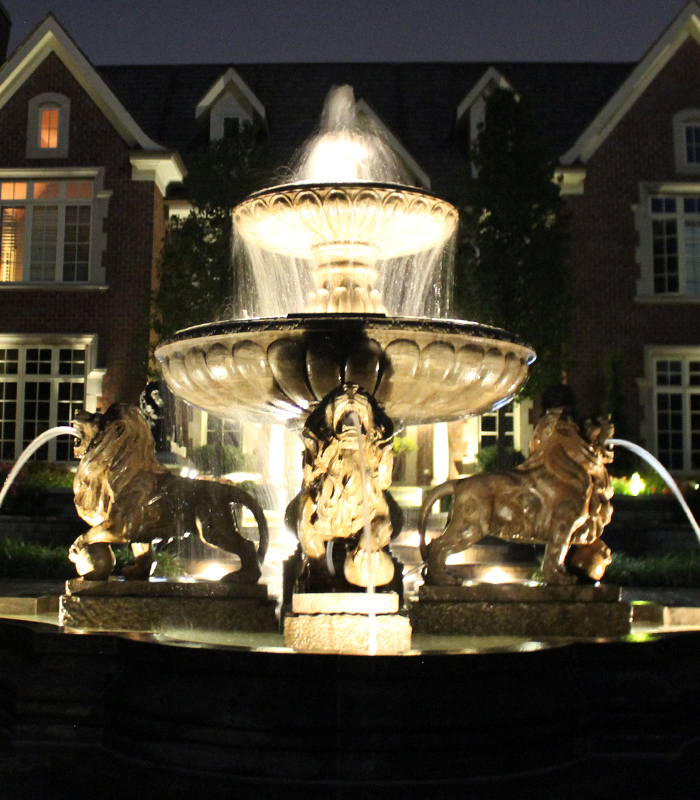 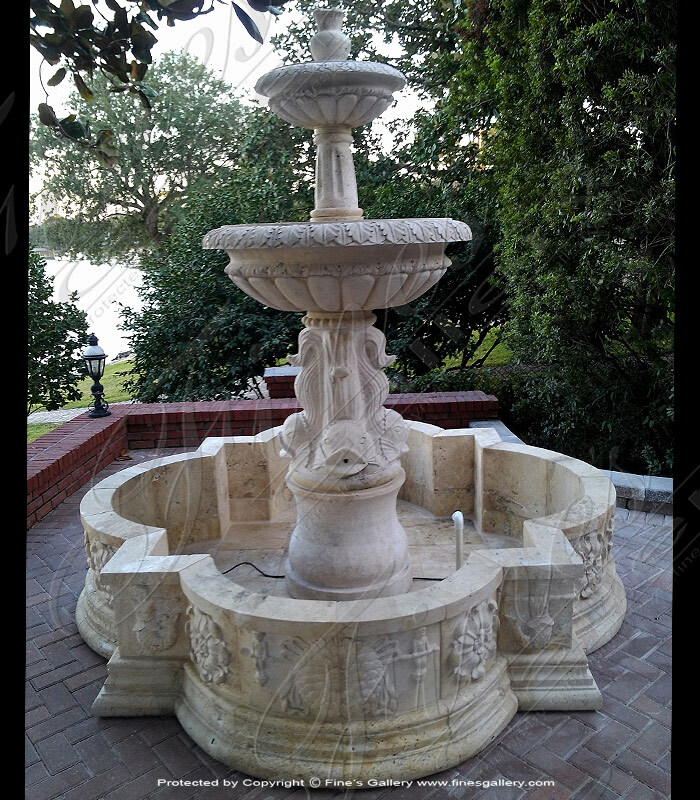 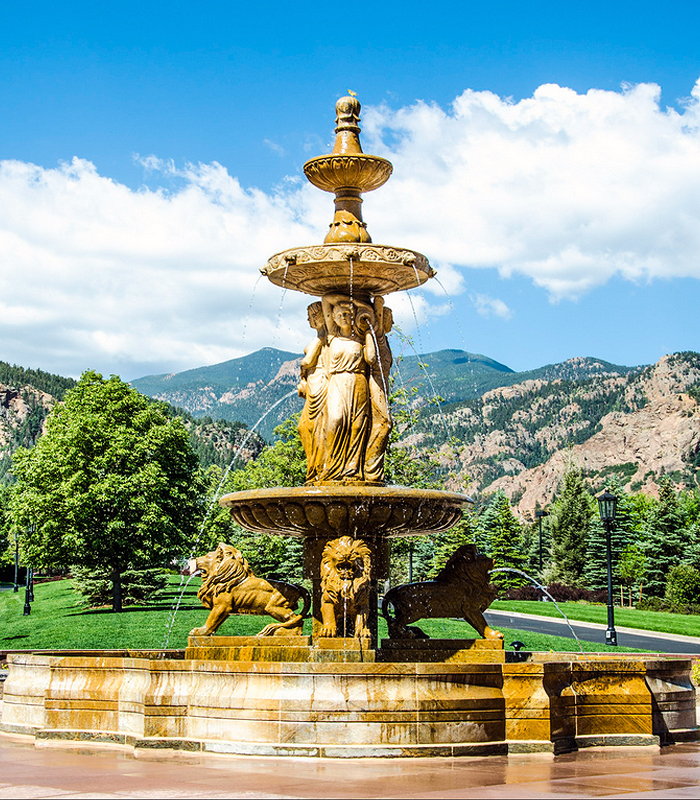 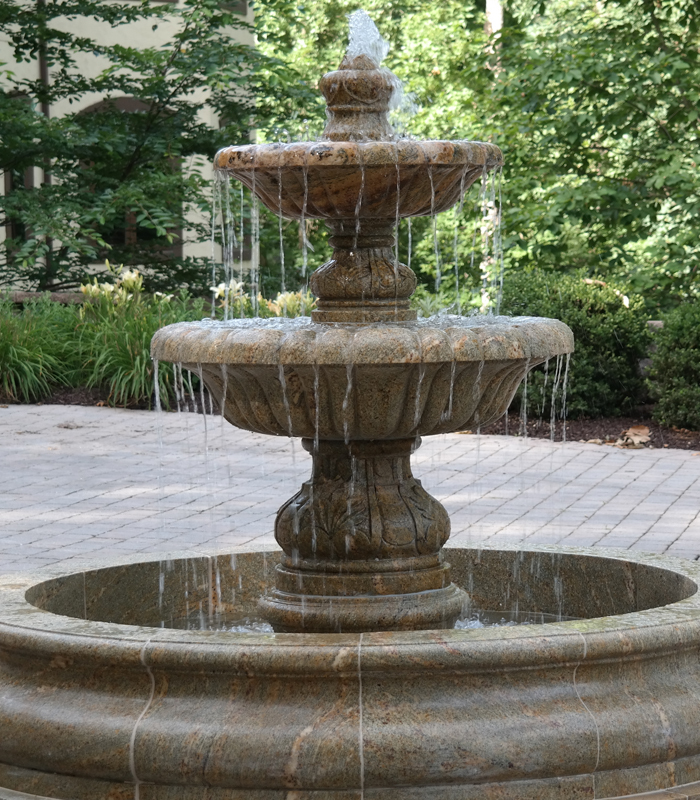 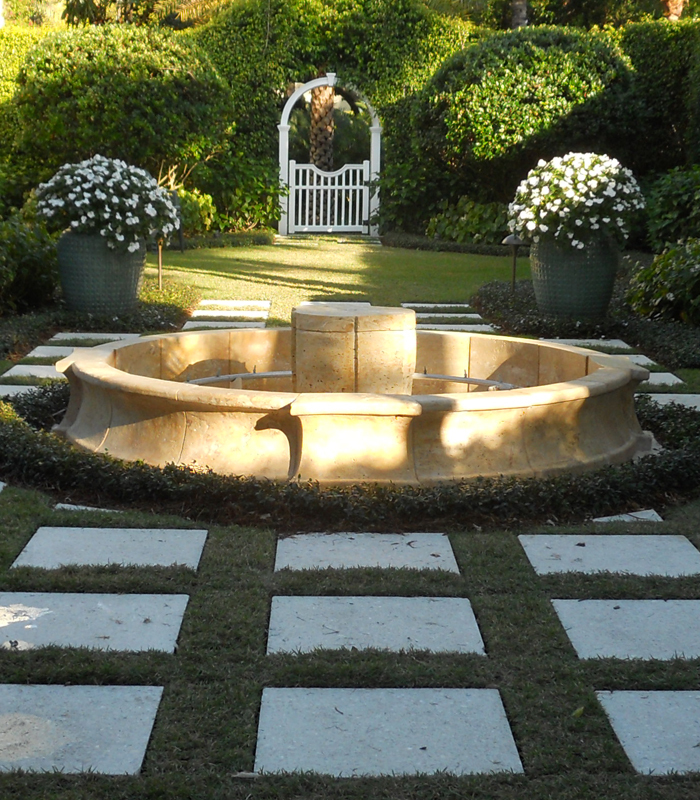 Hand carved from gorgeous fine marble with natural warm tones, this lovely fountain entertains the surroundings with the splendor of an island fantasy. 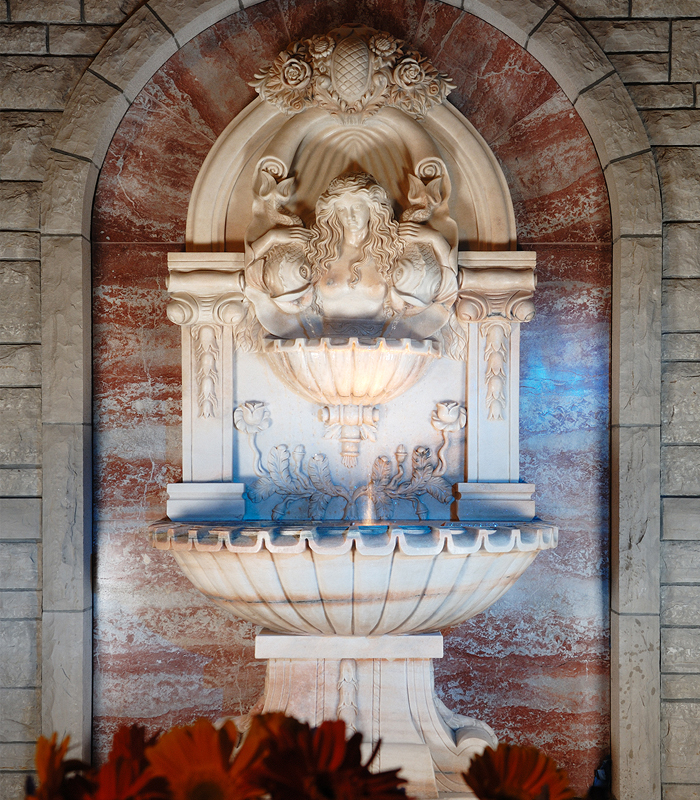 This beautiful pool is decorated with lovely statuettes of adorable cherubs playfully riding mythical fish. 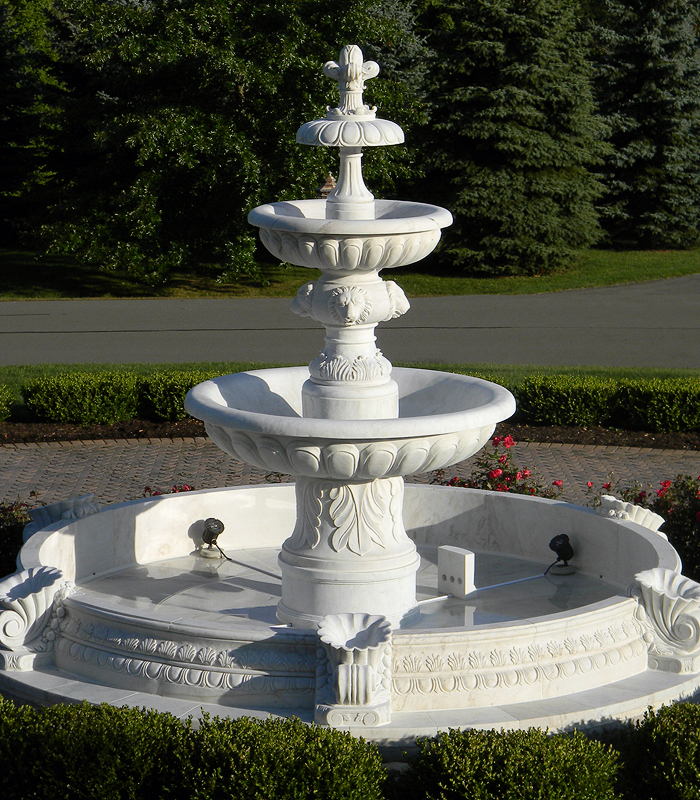 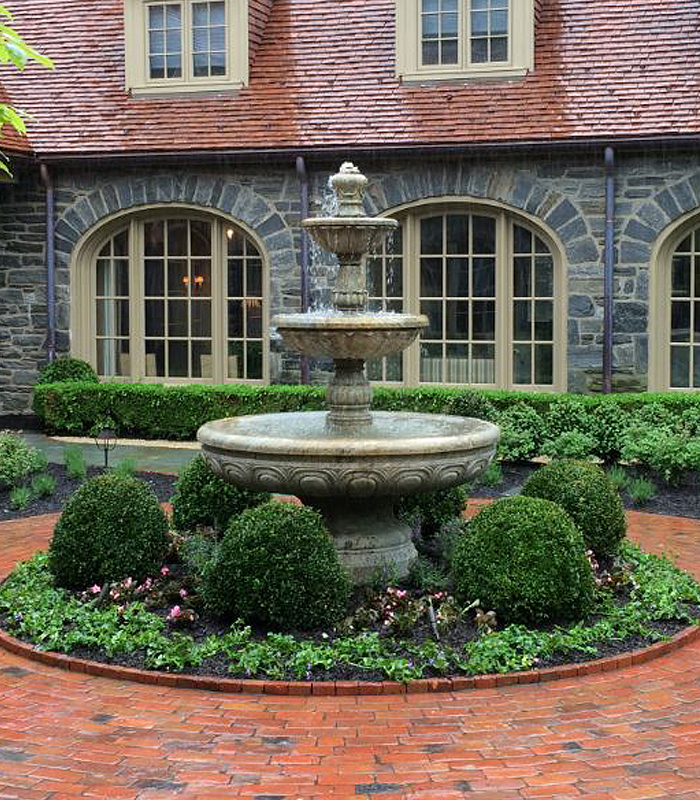 Its elegant quatrefoil shape is accented with cornucopia shells that add to the theme of mythical enchantment. 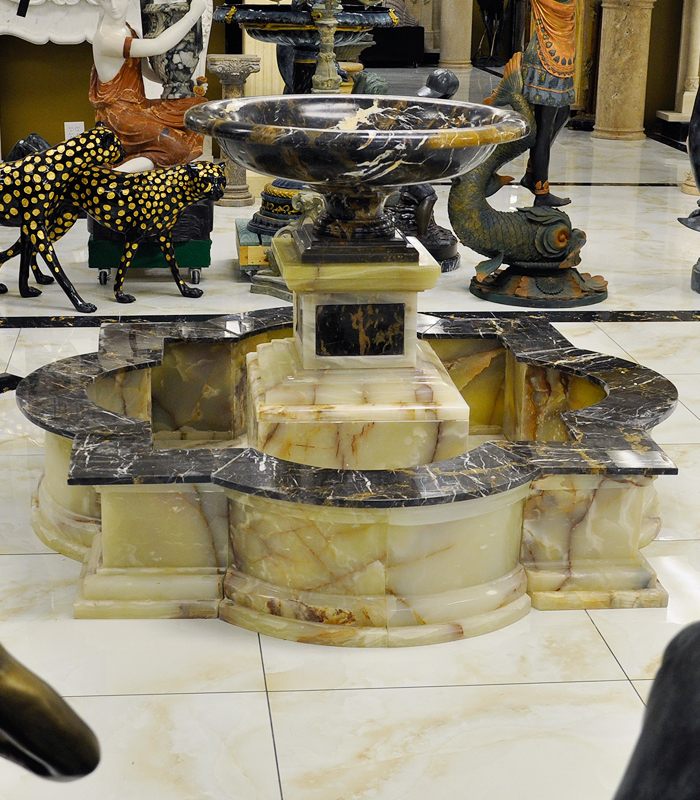 A luxurious marble pool to own.